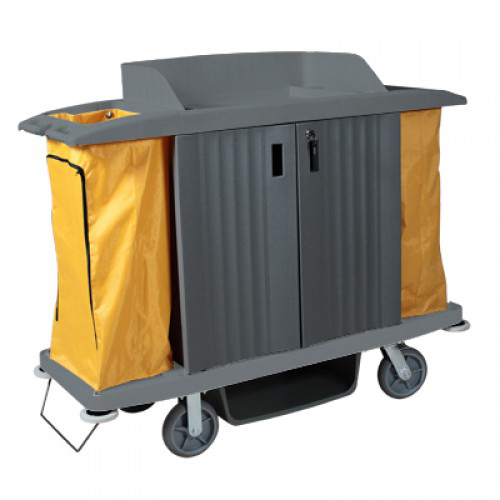 Description: Grey with two yellow bags and lockable cabinet. Tough sturdy construction. Svivel front wheels for easy manoevrability. Product Code: 12016 Size: Length 150cm X Height 98.5cm X Width 54cm Description: Tough sturdy construction. Complete with laundry refuse bag. Product Code: 12014 Size: Length 113.5cm X Height 98cm X Width 51cm Description: Tough sturdy construction. Complete with laundry refuse bag.